New Delhi [India], Aug 7 (ANI): Star Indian weightlifter Mirabai Chanu will not participate in the upcoming 18th edition of Asian Games in Indonesia next week, owing to a backache. New Delhi [India], Aug 02 (ANI): The Indian Olympic Association (IOA) on Wednesday wrote to all National Sports Federations (NSF) to ensure the medical fitness of all athletes and team officials, who are to take part in the forthcoming Jakarta Asian Games. New Delhi [India], July 30 (ANI): Indian table tennis player Achantha Sharath Kamal on Monday said that this year's appearance could be his last in the Asian Games and he would like to fulfil his desire of winning a medal in the tournament. New Delhi [India], June 08 (ANI): Haryana Chief Minister Manohar Lal Khattar on Friday asked the state government to put on hold the order which would require athletes to hand over a third of their earnings to the state. Chandigarh (Haryana) [India], June 8 (ANI): The Haryana Sports and youth affairs department has asked its sports-persons to deposit one-third of their income earned from professional sports or commercial endorsements to the Haryana State Sports Council. 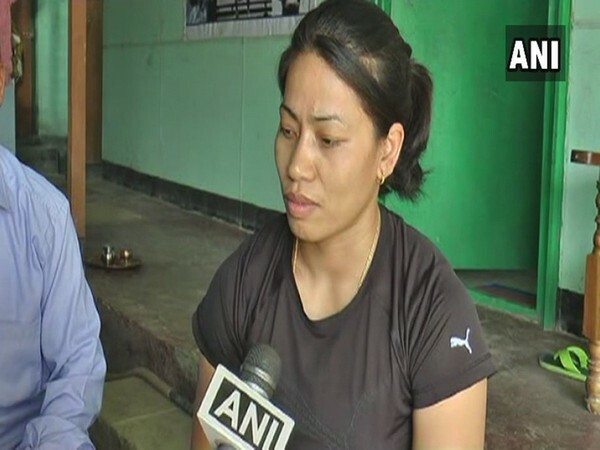 New Delhi [India], May 31 (ANI): Two-time Commonwealth Games (CWG) gold medallist Sanjita Chanu has been tested positive for a banned anabolic agent, the International Weightlifting Federation confirmed on Thursday. New Delhi [India], April 30 (ANI): Indian wrestler Babita Phogat, who made the country proud by bagging a silver medal in the recently-concluded 21st edition of the Commonwealth Games in Gold Coast, on Monday said that winning an Olympic medal still remains her ultimate goal. New Delhi [India], April 26 (ANI): After the successful campaign at the 2018 Gold Coast Commonwealth Games, Oil and Natural Gas Corporation (ONGC) Limited has now set their sight on the Jakarta Asian Games 2018 and the Tokyo Olympics 2020. New Delhi [India], April 26 (ANI): Union Railway Minister Piyush Goyal said India would recognise the contribution of all participants of the 21st Commonwealth Games (CWG) held recently, and not just the medalists. Hyderabad [Telangana], April 21 (ANI): In a major boost to sports infrastructure in Telangana, Chief Minister K Chandrashekhar Rao on Saturday announced 2 percent reservation in state government jobs for sportspersons.